WTFN’s new drama/animation television series Larry the Wonderpup, will air on the Seven Network later this year. It follows the adventures of Larry, a small terrier who is trying to understand the world around him. 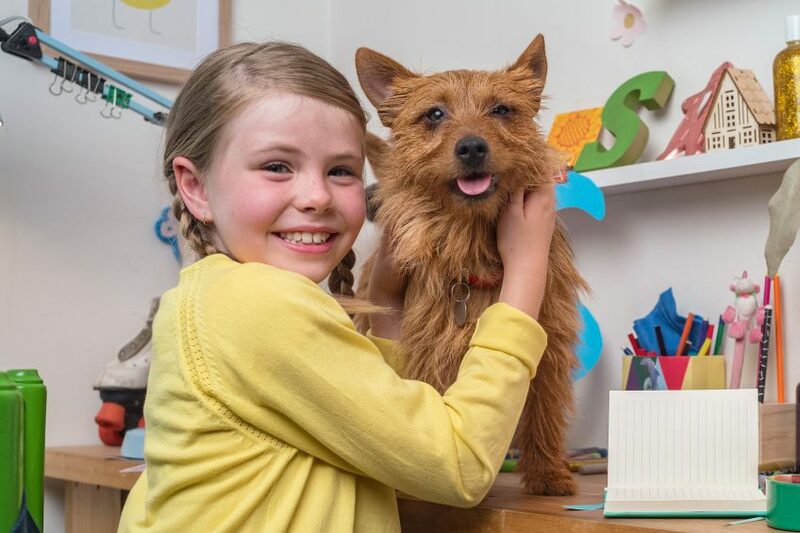 Ten-year-old Ava Rose Houben-Carter was selected from hundreds of hopefuls for the lead role of Sasha, Larry’s best friend, and their on-screen chemistry makes this a funny, heart-warming production. Ava was also announced recently as Shonelle for GWB’s Melbourne season of their musical School of Rock. According to Talent Manager of Empire Talent, Kristen Mahar, Ava was a standout when she auditioned for the TV series last year. “She lights up the room when she is performing and is certainly an exciting young talent. It is hard to believe that these are her first professional roles, but she just takes it all in her stride,” said Ms Mahar. Prior to securing the role on Larry the Wonderpup, Ava performed in a number of local stage productions, including CLOC’s Les Miserable; CPAC’s Joseph’s Dreamcoat; MYP’s Beauty and the Beast and Wizard of Oz. Ava is a big fan of actor Jack Black, so it is no surprise that she likes roles where her personality can shine through. “Jack Black cracks me up, and I love how much fun he has. I am good at accents and voice impersonations, so who knows, one day I might get to follow in his footsteps,” she said. Ava has a simple goal when she is performing “Just have fun, because I am happy when I make people laugh,” she said. Larry the Wonderpup is the first co-production between WTFN Entertainment and Chocolate Liberation Front. The series will be available for international distribution through Fred Media.